An interesting meeting recently with German photographer Dieter Zill. 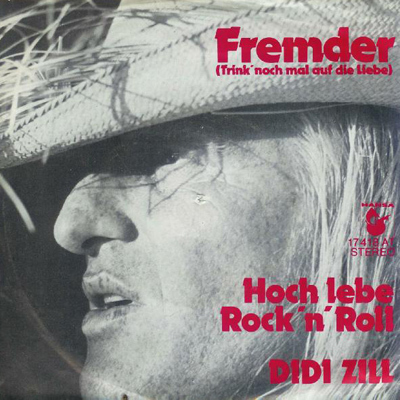 We’re hoping to be able to feature some of Dieter’s (or Didi as he is generally known) material on upcoming archive releases and he kindly agreed to have a natter. He brought with him a Mac stuffed with Deep Purple material, including many alternate shots, and of course a wedge of images shot in Montreux in 1971. Didi mostly worked for Bravo magazine in the 70s, having photographed Sonny & Cher and Creedence Clearwater Revival for them in late 1969 (a baptism of fire as he now recalls it). Bravo magazine covered rock and pop, as well as film and TV, and sport, for a late teen market, so Didi got to cover a wide variety of subjects (including some stunning shots of a young Pamela Anderson). Eighteen months later Didi was flown out to Japan to photograph the group there in 1973, and captured what turned out to be their last couple of shows (as well as photographing them outside their hotel, the final Mk 2 group shots). 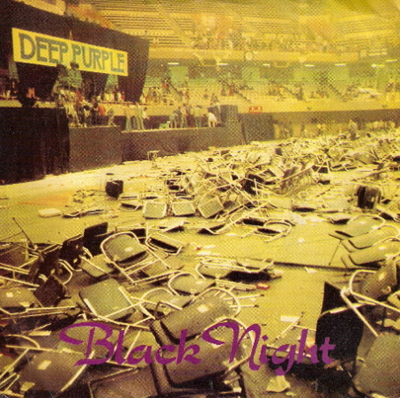 One of the shots of the post-riot torn venue ended up on the Black Night 45 in 1980 (illustrated here) and I’m pretty sure it must have been one of his photographs which decorated the cover of New Live & Rare Volume 3, although we didn’t know it at the time (one of Didi’s problems is that some of his images ended up in UK photo libraries uncredited). Bravo then had him cover the band’s new line-up at Clearwell and on their first shows in late 1973. The last time he photographed them was as a four piece photo shoot for Bravo when Mk 4 were in Germany with Tommy during work on Come Taste. Naturally Didi covered Rainbow, Gillan and Whitenake on visits to Germany and of course the reunion. He and Ritchie got on well and the guitarist often got Didi to stand beside him at shows to get good shots. In 2003 a German publisher put together a book of Didi’s Deep Purple images. We were very scathing of this at the time in a review, but it was interesting to learn from Didi that he was similarly very disappointed with the end result. A planned upgrade has been mooted but is yet to appear. We’ll let you know how things progress with a few ideas we pitched to Didi. One interesting sideline to our chat was to learn that he’d both played as a footballer in his early years, and also worked in the rock and roll field as far back as the mid-sixties, both in bands and solo. He is also very proud of a shot someone took of him jamming on-stage with Deep Purple in the 80s! These days Didi doesn’t do much photography and instead concentrates on curating his enormous archive, and doing the occasional project with students at the local media college. I’d love to see each and every one of those pictures taken in Montreaux ’71…any chance of releasing them for Machine Head’s 40 year anniversary? He also took pics of the very first Blackmore with Elf-studio session in late 74.